The Canine Crusade Foundation saves canine lives by funding organizations that provide shelter, medical treatment, rehabilitation or relocation services to homeless, abused or neglected dogs until permanent homes are found. It’s about the dogs. Approximately 3,300 dogs are euthanized in the United States every day and another 11,000 enter shelters. Through collaboration and careful due diligence with the organizations we support, we can increase the effectiveness of their programs because every minute a rescue organization spends looking for operational funding reduces the time and resources it spends on the needs of these dogs. 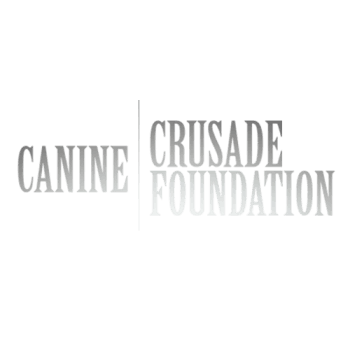 The Canine Crusade Foundation envisions an environment where those who dedicate their lives to rescuing dogs are given the resources to do so. We believe how we, as a society, take care of our animals speaks to who we are as people. If our animals are happy and healthy, we are all better for it. The Canine Crusade Foundation seeks a world where dogs are free from abuse, neglect, abandonment or arbitrary euthanasia.